The BMW X6 M may be commissioned with this custom update from Manhart Performance and Carlex Design. The finished product bears many of the design cues of the track-aspiring commuter in its exterior, more juice under the hood to back them up, and a very comfortable-looking interior. The aggressive revision of the already aggressive styling of the X6 M is the result of the tuning efforts of Carlex. 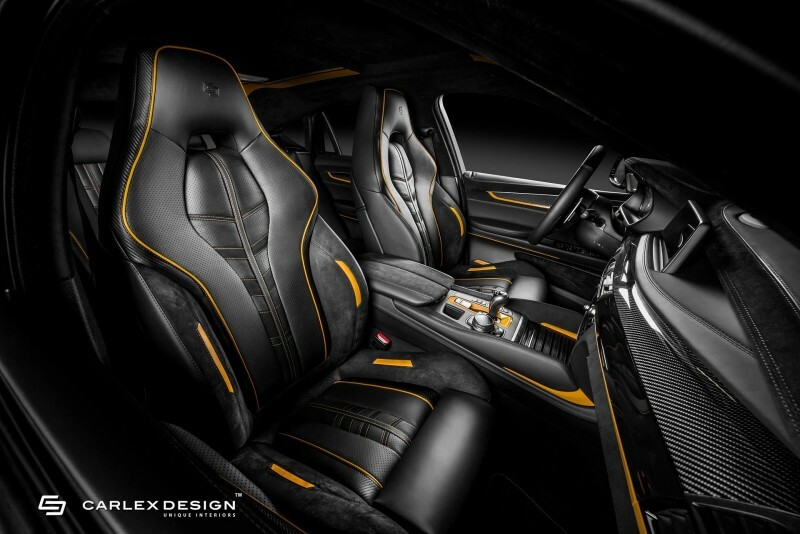 The Polish company opted to reimagine the interior aesthetic with sleek black leather accented with bold yellow. Luxurious Alcantara was used in the armrests, roof living, dash, and center console for an entirely new look that buyers certainly won’t find at their nearby BMW dealership. Manhart Performance, which is known for taking super-fast vehicles and making them that much faster, focused on amping up the vehicle’s performance to 800 HP. The tuner also upgraded the X6 M with larger wheels, a new suspension setup, and a number of aerodynamic improvements to enhance the overall performance. Ultimately, the new BMW X6 M is a perfect example of what happens when two talented brands put their heads together.